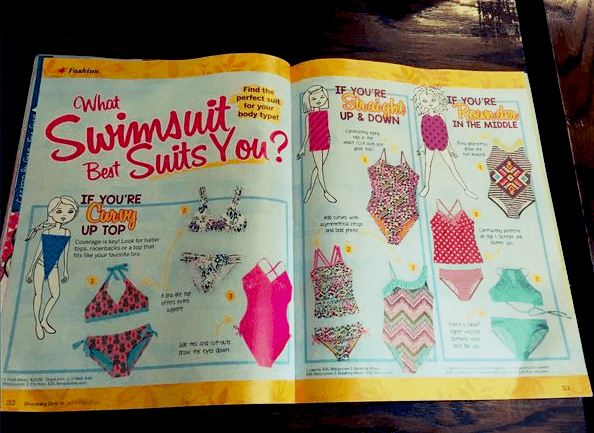 The publisher of a US magazine aimed at 8- to 12-year-old girls has apologised for a recent swimsuit spread offering tips on selecing the right bathing suit based on body type. Tween girls who are “curvy up top” were advised that “coverage is key” and they should opt for a one-piece with side cutouts or ties to “draw the eyes down”. “If you’re straight up and down,” the article went on, girls should “add curves with asymmetrical straps”. 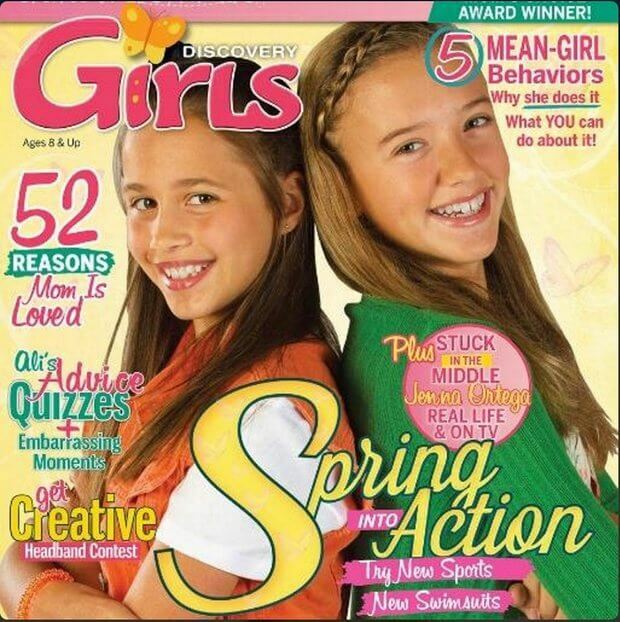 Parents quickly took to social media, calling Discovery Girls out for promoting poor body image at an early age. The magazine’s publisher, Catherine Lee, issued an apology on Facebook yesterday morning, saying she’s “been a loss for words for days” and is “in total agreement” with the criticism. Lee went on to explain that she published a book in 2013 called Discovery Girls Guide To Growing Up: Everything You Need to Know About Your Changing Body, which promotes positive body image. The book was inspired by the “hundreds of thousands of letters over the years from girls sharing their insecurities about their bodies,” Lee said. As for the criticism of the piece, Lee encourages it. “We want to make sure that our girls know that any article that makes you feel bad about your body is not a good article, and should be questioned,” she said.